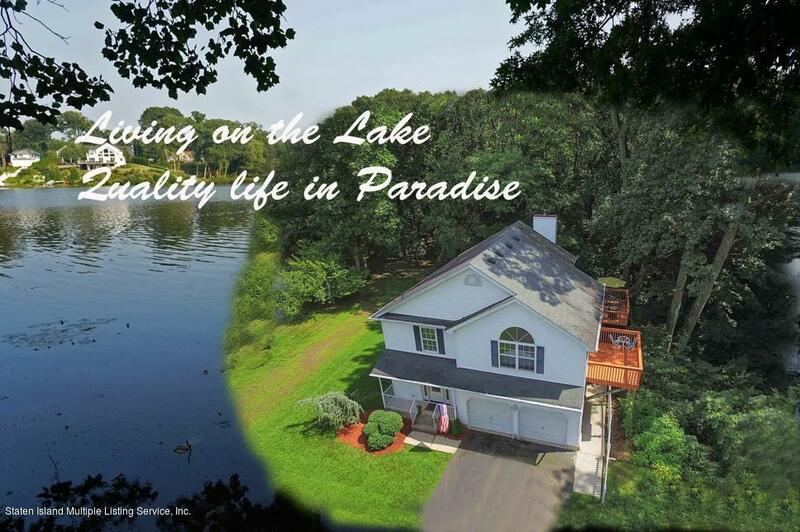 Matawan - Magnificent lake front home, 4 bedroom converted to 3 bedroom plus extra rm on the 1st floor with 3/4 bath and entrance to outside. Custom kitchen, hardwood floors throughout, huge master bed with walk in closet and roman bath with Jacuzzi (4 pc) Plus 2 large bedrooms on the 2nd floor. Private park-like setting surrounded by woods on the Cul-de-sac with spectacular view. Conveniently located to x-buses and train station.